Ramadhan is starting tomorrow and leaders across the world wished Ramadhan Karim to the Muslim family. - Bana Kenya News, Real African Network Tubanane. Home Editorial Ramadhan is starting tomorrow and leaders across the world wished Ramadhan Karim to the Muslim family. Ramadhan is starting tomorrow and leaders across the world wished Ramadhan Karim to the Muslim family. Muslims across the world will be going on the month of Ramadhan starting from Tomorrow Saturday 27th, May 2017. According to the Chief Kadhi Sheikh Sharif Ahmed Muhdhar, the crescent has been seen today and fasting will proceed. Muslims across the world will be praying over the Holy Month. They will be praying for their respective nations, politics, and security and more so preaching the deeds accepted by Allah. President Kenyatta in Italy wished the Muslims Ramadhan Karim and is expected to be in the country this weekend to join his DP William Ruto. The US president Donald Trump wished a holy Ramadhan to all Muslims across the world and urged preachers to preach peace. 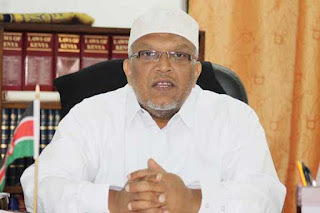 The Ramadhan timetable will be availed across the country tomorrow and some of the people in the digital age will be able to see it online in various Islamic platforms.